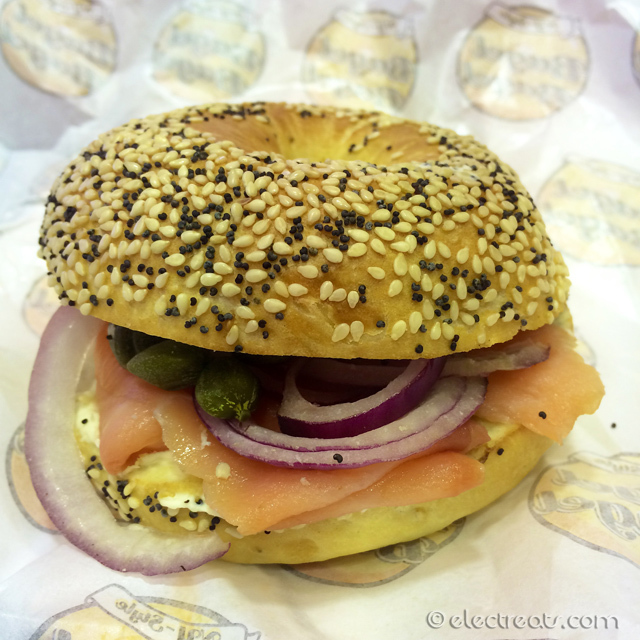 Smoked salmon, cream cheese, capers, and red onion. A must-try. Feeling homesick and Thanksgiving is just around the corner? Get this! Roasted turkey with herbs, cranberry sauce and cheddar cheese. Another must-try. 10% tax. Add 5K for a drink and a bag of chips. Also open in Kemang where they sell (pork) bacon. Bigger seating area, too. 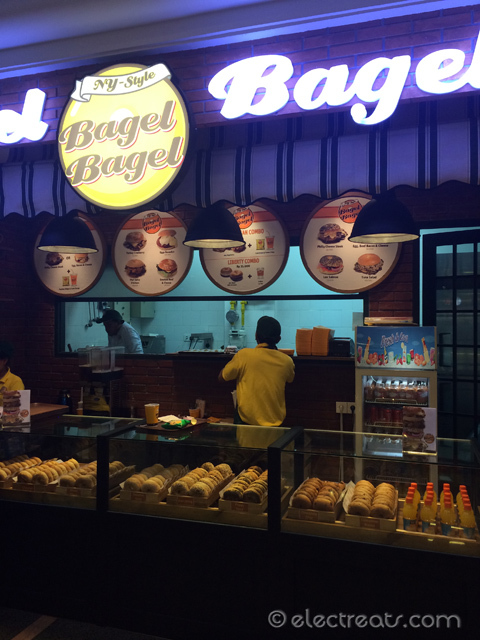 This Plaza Senayan branch is only a stall at the food court. 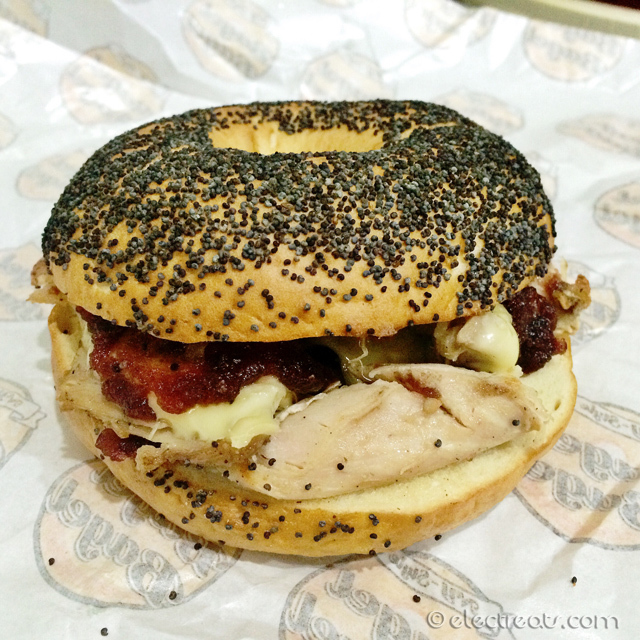 The bagels don’t disappoint, just like UK or US bagels. However, sometimes they are baked too long, making them very hard and unpleasant to eat.